This has been a very busy week. Monday was a treatment day. Tuesday and Wednesday were busy, and I struggled with the effects of my treatment. Thursday was filled with CT scans and MRI appointments. Friday meant a return to the doctors for “fluids” to juice me up for the weekend. It was a busy week. God met me in the midst of it. Sacred conversations that helped shape me and help form the person I am becoming. I was wise enough to cancel one event when my body was screaming for me to stop. Turns out I was dehydrated. After an evening of rest, plenty of water, and more rest I felt much better. I am learning when to say enough and people have shown me grace when I reach the point of needing to stop. There were certain markers that caused us to start this round of treatment. My MRI revealed lesions on my liver had “grown significantly”. At the same time my CEA had increased from 1.6 to 3.3. While 3.3 is still below the normal range of 5 it was the first time we had seen any significant increase in the past year. At the same time I was recognizing patterns of being out of breath walking up hills and was losing some of the energy I had gained after a break from chemo. The combination of those markers sent me back into this round of treatment. 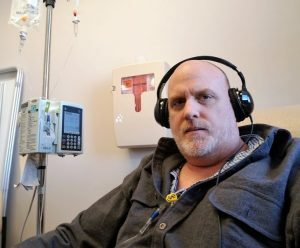 Monday, March 19th found me sitting in the treatment chair listening to the rhythm of the pump as I received my third treatment. Part of me is amazed at how fast we are progressing through the treatments. Time moves on and in a short while we will be looking at this round of treatment in the rearview mirror. We are using different drugs which my body is responding to in very different ways. I foolishly thought I could plan on moving through this round like I did last time. It has taken me a few weeks to understand and accept the reality that this round was going to be different. I do not bounce back as fast from treatment. Chemo weeks find me struggling to function well. Friday of each treatment week feels like someone turns a switch and I feel more like myself. The week between treatments slowly begins to feel like normal. I move slow, get tired, have a hard time concentrating and nausea comes and goes without warning, but I am able to function. During non-treatment weeks I hear lots of people say, “You look great.” The truth is that simply looking at me would not reveal the reality of what is going on in my life. During the ebbs and flows of treatment I have been able to maintain an active work schedule. I have found time to focus on what really matters. There have been conversations that move past simple things and towards deeper realities. 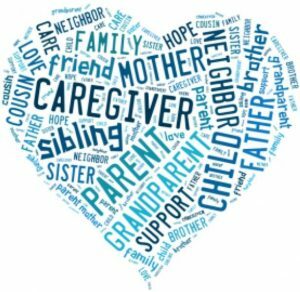 Nancy and I have adjusted back into our caregiver, care receiver roles. It is not always easy for either one of us. I do not always want to be cared for, even though I may need it. 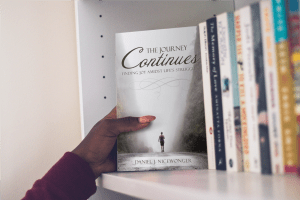 The weight of moving through life as a caregiver can become heavy and there are times Nancy becomes overwhelmed.